Thu., May 17, 2018, 4:18 p.m.
JACKSONVILLE, Fla. – Boise State and Florida State will open the 2019 season against each other in Jacksonville. The announcement was made on Wednesday by the Jacksonville Sports Council, which also runs the annual Gator Bowl game, and Florida State. The game will take place on Labor Day weekend (Aug. 31-Sept. 2) at the NFL Jaguars’ stadium. It will be the first time the Broncos and Seminoles have met in football. The teams agreed to a home-and-home series in 2013, with the first game originally scheduled in Tallahassee. Boise State will host Florida State on Sept. 19, 2020. The game in Jacksonville will mark the fourth time since 2014 that Florida State will open the season at a neutral site. 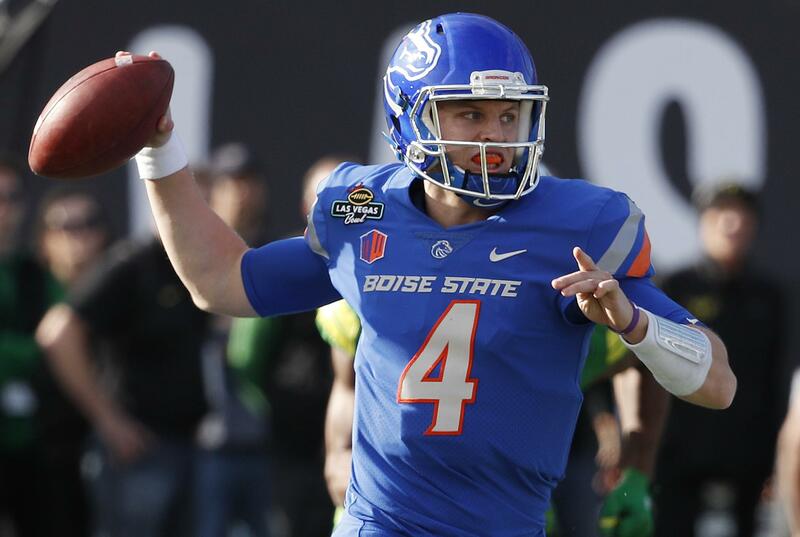 Boise State has not started its season at a neutral site since 2014. Published: May 17, 2018, 4:18 p.m.